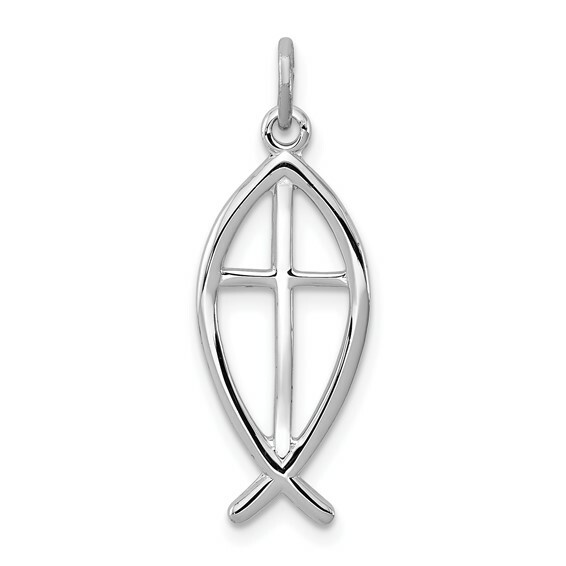 Sterling silver ichthus (fish) charm has a smooth polished finish. Item measures 3/4 inch tall by 3/8 inch wide without bail. Chain not included. This item is the size of a penny. Weight: 0.85 grams. Made in USA.